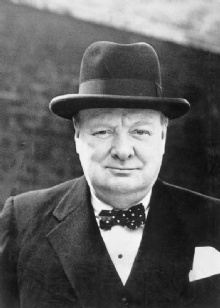 "All the great things are simple, and many can be expressed in a single word: freedom, justice, honor, duty, mercy, hope"
This quote is written / told by Winston Churchill between November 30, 1874 and January 24, 1965. He was a famous Statesman from England. The author also have 146 other quotes.